Purpose, Communication, Typography, Colours, Images, Navigation, User Friendly. Essential core elements of an effective web design. We create your website with a creative flair inline with current trends. All of our designs are ‘responsive’ to render on smartphones and tablets. We design your website from a design questionnaire and ‘face to face’ meeting so we better understand your target audience. We have a dedicated team including designers, php developers to provide a complete digital solution from designing stunning brochure sites to e-commerce solutions and bespoke systems built to your brief. 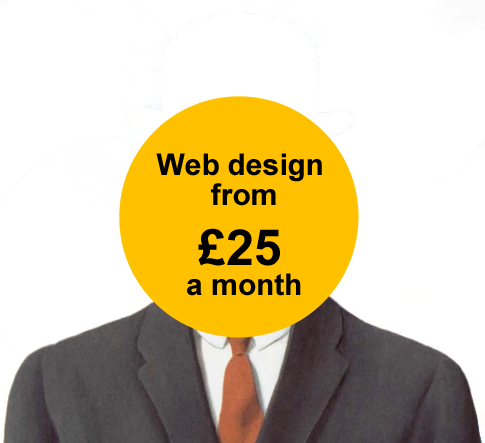 White Hat offer you a ‘one stop’ to ensure your website not only looks good it engages with your customers. All projects are managed with timelines to a fixed price so no unexpected surprises. From the initial meeting, we discuss your requirements and outline in plain English your responsibilities, and explain what we will do and what we need to make your web project a reality. White Hat aims to deliver websites that meets your expectations that is easy to navigate and Google friendly. Over the past decade we have built hundreds of websites with years of experience to ensure your web business works for you. We make effective websites at low competitive prices. We can use pre-format templates and personalise or create a bespoke design from scratch as your budget permits. Brochure sites start from only £800 with a CMS [content management system such as WordPress] for easy self maintenance. If you want a quality web site that is Google Friendly contact us. Looking for lower cost investment then look at our new pay monthly web design services. Brochure information sites suitable for delivering service messages, consultancy, information, with a gallery option, who, where, and what you do, contact us form and general company information in either WordPress CMS [content management system] to enable you to edit, amend and self maintain. E-commerce with database driven back-end with payment integration to fully manage your on-line business and communicate with your customers. Our e-commerce solution starts from £3,000 has been refined since we started to build e-commerce in 2006 to provide a comprehensive framework that is very user friendly and with every feature a business owner would want to have at their disposal. User friendly and KISS simple to use and self-administer. Database driven and intuitive and merchant integration. You have your own admin online dashboard to add products, edit, amend, upload images or delete, set prices, add descriptions, and generally manage your own on-line store. You can view orders, payments, see customer trends, customer databases orders and reports. Automated personalised auto order emails to customers when orders are placed making the whole process a pleasant customer experience. Bespoke project as per clients specifications. White Hat has the in-house technical capabilities to build any system, Web based Database Applications, Databases, Quotation Systems, Booking Engines, Auction Sites, CRM. Whatever is technically possible we can quote and build. Once your new website has been built, we offer affordable monthly maintenance plans starting from only £30 per month. These support/maintenance plans are designed to be affordable and to give you peace of mind, knowing that your website can be updated at any time with content changes, image changes, additions and more. Speak to us about our maintenance plans today. A professionally built smartphone responsive website for your business. This is not a self-build time consuming service, we design, build, host and maintain your website on a low monthly payment plan just like your phone. Our designers build the site for you, so you can focus on your business saving investment money to spend on your marketing. Paying monthly rental is more tax efficient than a capital expense for your web business..